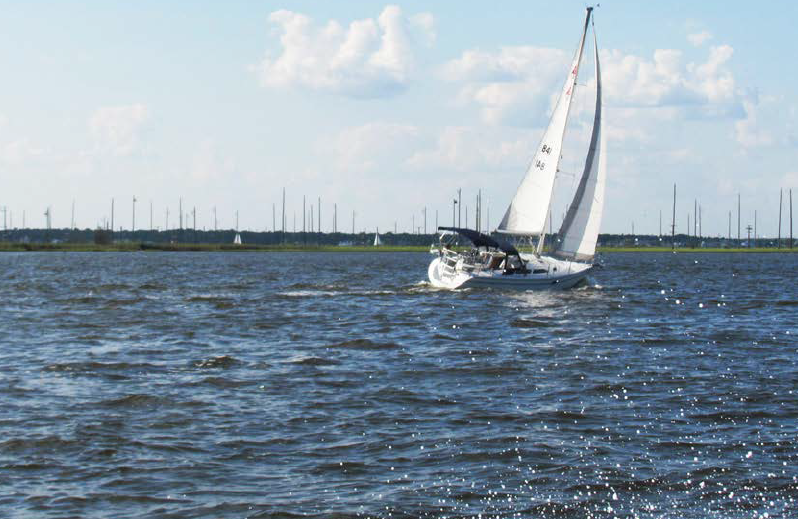 (18/P042) TRENTON – The Department of Environmental Protection is seeking applications for $10 million in grants to fund local projects to improve water quality in the Barnegat Bay watershed, an important ecological and tourism resource for the state. Nonprofit groups, government agencies, and state colleges and universities are being encouraged to apply for funding for projects that will address stormwater runoff, also known as nonpoint source pollution. The 660-square-mile watershed encompasses all or parts of 37 municipalities in Ocean and Monmouth counties and is an important driver of tourism-related activities. The 42-mile long bay is renowned for its fish and shellfish resources, as well as for wildlife-related activities such as fishing, crabbing, bird-watching and exploring nature. The DEP’s Water Quality Restoration grants are made possible through funds provided under Section 319(h) of the federal Clean Water Act, Natural Resource Damage settlements the state has secured with polluters, and the state’s Corporate Business Tax. Additional funding is also available in low-interest and principal-forgiveness (grant-like) loans through the New Jersey Water Bank, administered by the DEP in partnership with New Jersey Water Infrastructure Bank. Stormwater runoff carries into waterways pollutants, such as nutrients from fertilizers and animal wastes, as well as automotive fluids and pesticides. Excessive nutrients can cause algae blooms that impact the ecological health of waterways and diminish recreational enjoyment. The DEP is seeking proposals for projects to reduce the input of nutrients, primarily nitrogen, which are transported into the bay by stormwater runoff. Proposals that mitigate nutrients in stormwater in the northern and southern portions of Barnegat Bay will be prioritized. This area has poorer water flow and is more highly developed than the southern bay. The DEP’s broad nutrient reduction strategies include development of a Toms River Watershed Restoration Plan and continued implementation of the Metedeconk River Watershed Protection and Restoration Plan. Specific nutrient reduction strategies eligible under the grant program include wetland restoration, living shorelines and other resiliency projects, stormwater infrastructure mapping, stormwater basin retrofits, nutrient and pathogen source tracking, submerged aquatic vegetation and shellfish restoration, and stewardship education projects. Interested applicants are strongly encouraged to attend one of the two public information sessions, each running from 10 a.m. to 2 p.m. The first will be on Tuesday, June 12 at the Jacques Cousteau Coastal Education Center, 130 Great Bay Boulevard, Tuckerton, and the second will be Thursday, June 14 at Ocean County College, 1 College Drive, Toms River, Building #10, Conference Rooms A and B. To view the request for proposals and for more information about New Jersey's Water Quality Restoration Grants Program, visit: www.nj.gov/dep/wms/bears/npsrestgrants.html.